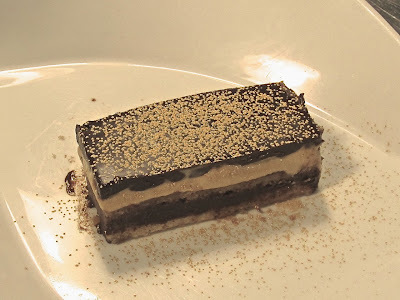 I took a cooking lesson at the Atelier des Chefs (Péclet branch in the 15th) on classics of French pastry. We made financiers with lemon and lemon zest, mango tartes tatins and, the pièce de résistance, a Gâteau Opéra. 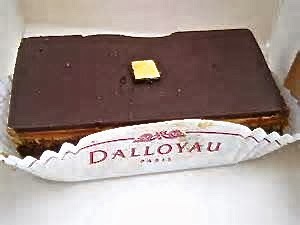 The Opéra was created in 1955 by Dalloyau, one of the leading pâtisseries in Paris (and the world) since 1682. 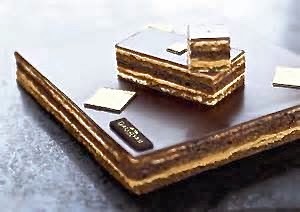 It has been a hit ever since and now all the good pâtisseries have their own versions. So I thought it would be fun to see how they are made, and indeed it was. And so very simple: all you need is a really well-equipped kitchen (with a stand mixer, a myriad of bowls and whisks, silicone baking sheet and square cake "ring"), time, patience and five techniques. Then just make biscuit joconde, ganache, sirop café, crème au beurre café and chocolate glaçage, assemble when everything is at just the right temperature, et voilà! Or, you can go to Dalloyau and buy a perfect one. A really enjoyable class, but as for the famous Gâteau Opéra, my advice is: do not try this at home.